November 16 was our fourth annual national Pengyou Day! 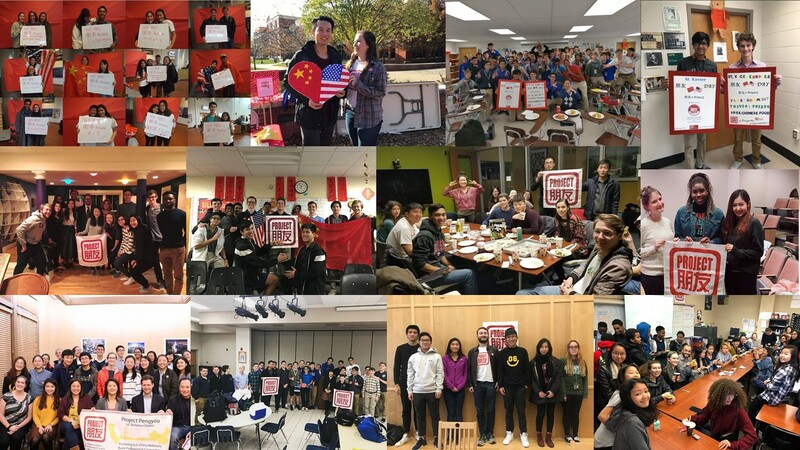 Young leaders all across the U.S and China held events to promote U.S.-China relations and encourage cross-cultural exchange and friendships. 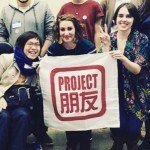 This post was co-written by Project Pengyou interns Alex Mitu and Melodie Ha. November 16 was our fourth annual national Pengyou Day! 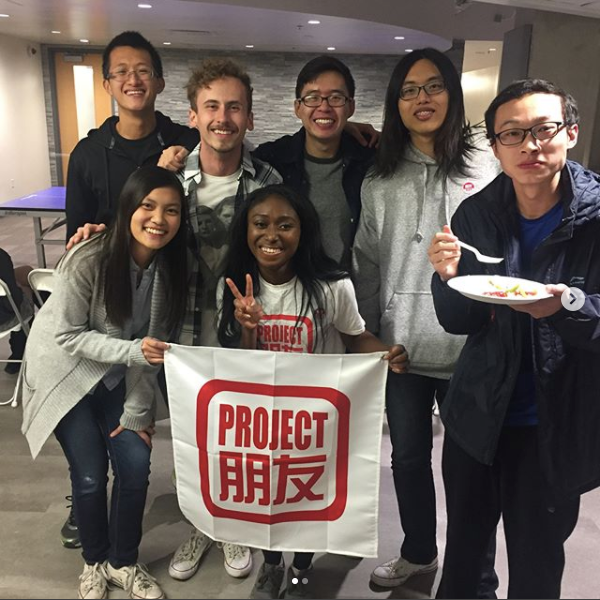 Young leaders all across the U.S and China held events to promote U.S.-China relations and encourage cross-cultural exchange and friendships. 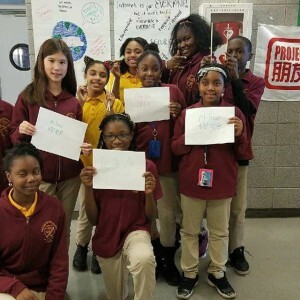 Over 100 campuses including Project Pengyou Chapters and Asia Society Confucius classrooms participated in conjunction with the U.S. State Department’s International Education Week. 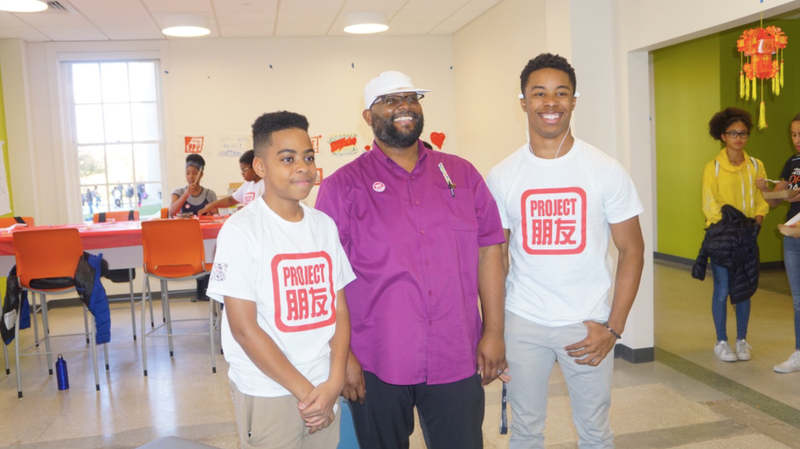 The nationwide campaign celebrated U.S.-China study, engagement, and friendship through events, gatherings, and stories shared via social media using #projectpengyou, #mypengyouis, and #pengyouday. This year, we were thrilled to be joined in our efforts by the Asia Society Confucius Classrooms, Hopkins-Nanjing Center, Fulbright Program and the US-China Strong Foundation who helped to promote US-China exchange on Pengyou Day in their national networks. 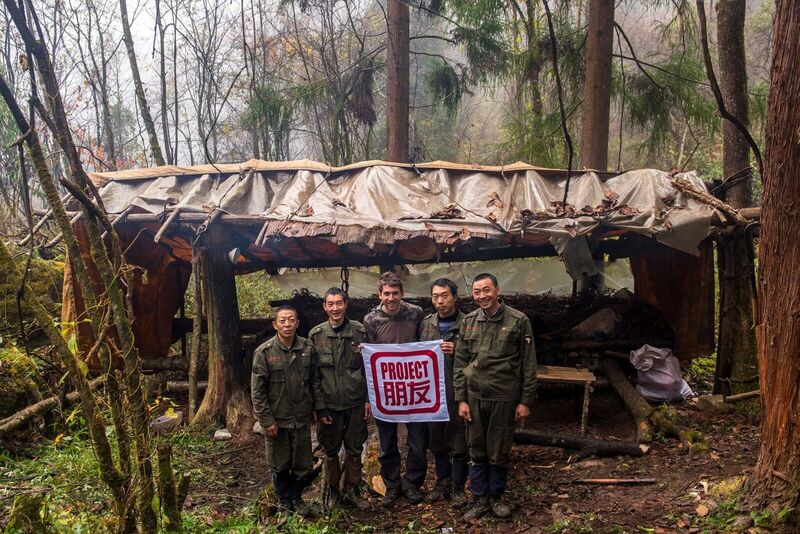 Thanks to everyone who contributed, organized an event, and helped spread the word in their networks! 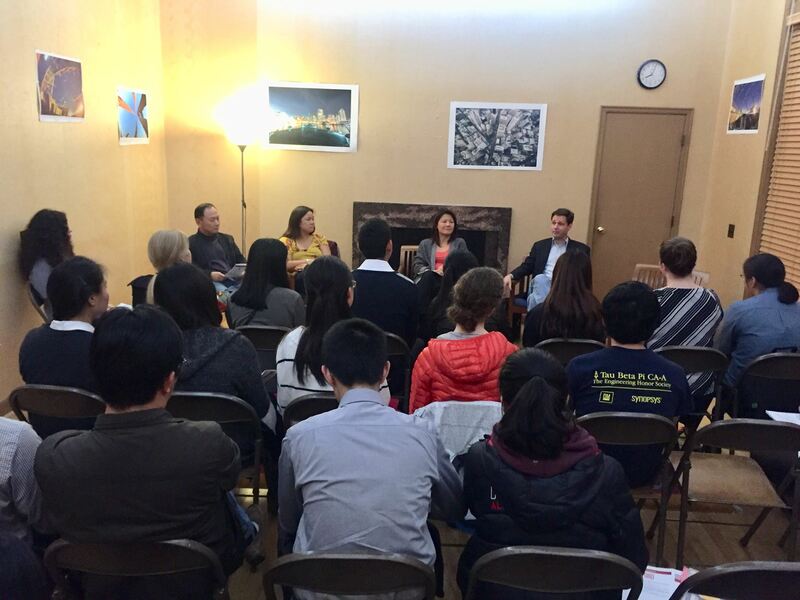 The UC Berkeley Chapter held a career panel with 5 established professionals, including James Eron, Haiyan Fu, Xinggang Tong, Darren Ji. This year’s events included a panel discussion on building professional networks at University of California, Berkeley, a Friendsgiving dinner at the University of Wisconsin-Madison, a Chinese public-park at The Claremont Colleges complete with dancing Aiyi’s, Taichi, and milk tea, as well as many other cross-cultural traditions and games such as calligraphy, ping-pong tournaments, and more. 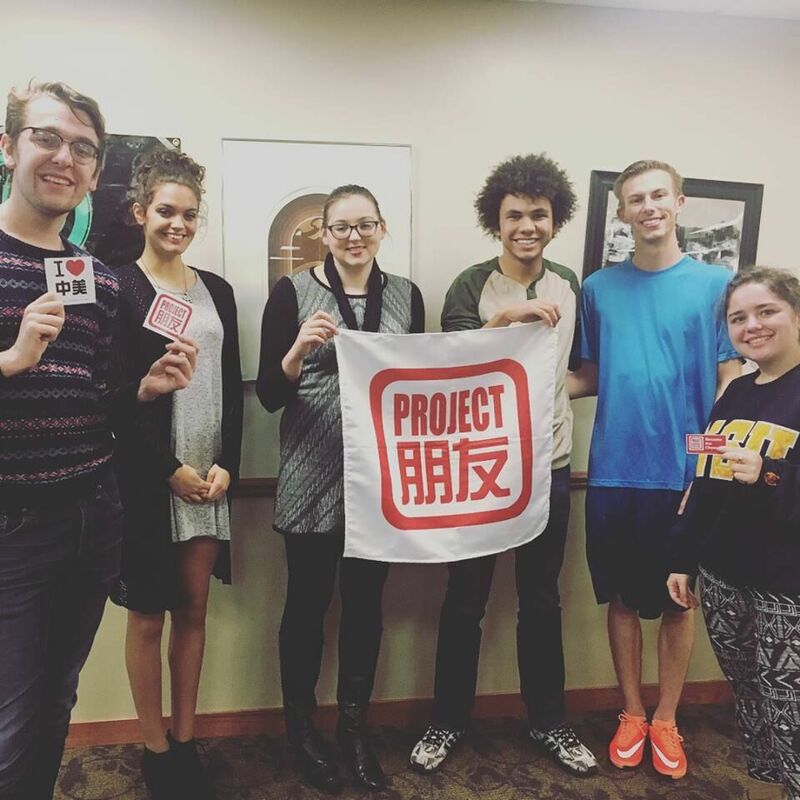 A few campuses, such as the Project Pengyou Middlebury Chapter, had a week of Pengyou Day events. Pengyous at Colby College in Waterville, Maine demonstrated their friendship. 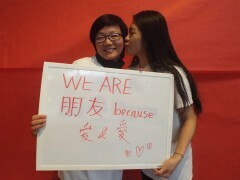 Here in Beijing, we offer support and guidance leading up to Pengyou Day, but the real magic happens on each campus. Each of our Chapters is autonomously run by students, and we are constantly inspired by the drive and passion they display and the care and thought that goes into planning each event. Whether it’s a large panel discussion or an intimate dinner with friends, the Project Pengyou Chapter leaders are all working hard to build bridges on their campuses during Pengyou Day and we couldn’t be more proud. 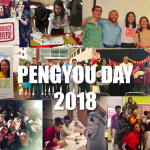 This year, Pengyou Day served as a reminder to us all that even in tumultuous times, simply sitting down and having a conversation with someone and forming genuine relationships can go a long way. 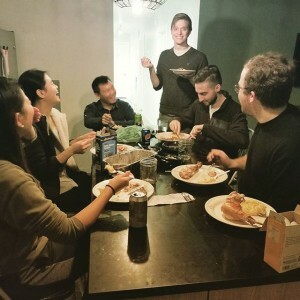 On a macro-level, it may seem like a simple conversation will not go far in terms of solving larger issues of xenophobia or cultural misunderstandings, but on a micro-level, this cross-cultural dialogue can create a sense of connection that transcends our preconceived notions of the world and those around us. With that in mind, Project Pengyou Chapters across the nation took this day to engage with friends, classmates, teachers, and community members, celebrating the spirit of friendship, unity, and collaboration that comes with learning about other cultures and share those stories with one another. In third place, the Northern State University Chapter in Aberdeen, South Dakota, for promoting engagement with Chinese culture through Chinese yo-yo, calligraphy, paper cutting, chopstick races, and good food! 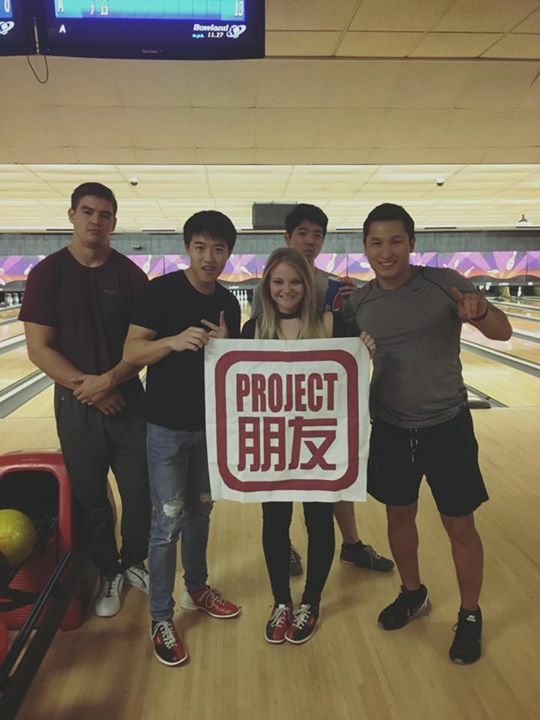 In second place, the Colorado University at Boulder Chapter in Colorado, for their efforts in creating genuine dialogue on campus through a rousing ping-pong tournament! Finally, in first place, the Colby College Chapter in Waterville, Maine, for their efforts in spreading cross-cultural friendship by hosting a panel on bridge-building between the U.S. and China! We applaud all of you for your efforts and we hope you don’t underestimate the impact you have, both in the wider network and as individuals, to make a difference in someone’s life by being a friend. 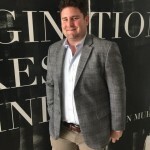 Here are a few selected moments from events held across the U.S. this year! Check out our 2017 Pengyou Day Photo Album to see more, or search for the hashtags #projectpengyou, #mypengyouis, and #pengyouday on Instagram, Twitter, and Facebook. 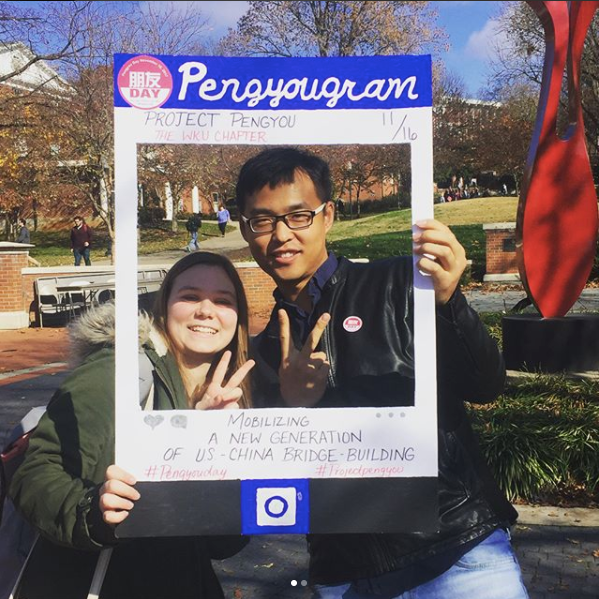 Happy #PengyouDay from the D.C. International School in Washington D.C.
Pengyous at Western Kentucky University in Bowling Green capture an Instagram-worthy moment. 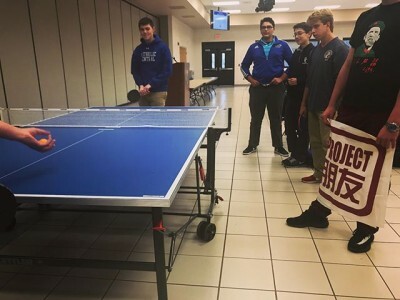 Pengyous at Detroit Catholic Central High School in Michigan battle it out in a ping-pong tournament. Pengyous at the University of Southern Florida in Tampa went bowling. 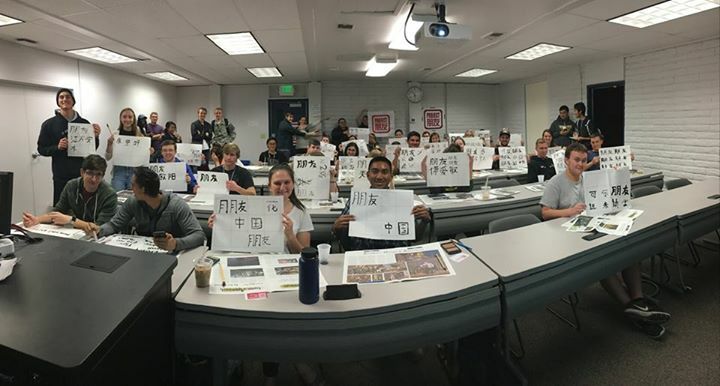 Pengyous at Embry–Riddle Aeronautical University in Prescott, AZ showed off their calligraphy skills. Happy #Pengyou Day from Medgar Evers College Preparatory School in Brooklyn, New York. 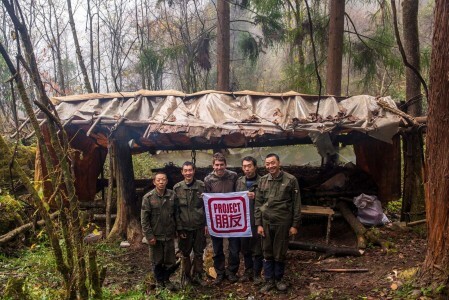 Project Pengyou Leadership Fellow ’14, Founder of St. Olaf College Chapter, Kyle Obermann celebrates #PengyouDay in Sichuan with the Guanba People’s Nature Reserve. 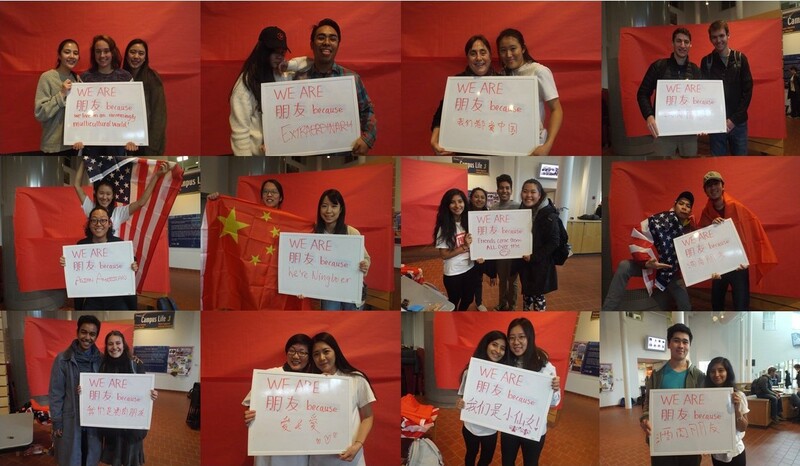 Congratulations to all of our Chapters and Pengyous around the globe on another great Pengyou Day!